Podcast Episode 49: Abel Albonetti on How He Earned (and keeps) Those Abs. Fitness model Abel Albonetti stops by to share his fitness story and give some insight into training a certain muscle group he gets asked about constantly. 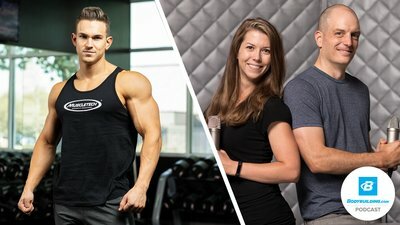 He tells Nick and Heather about growing up home-schooled, transitioning from fashion model to fitness model, and his adventures with new-fangled fitness technology like the NeuFit. If you're curious about carb-cycling, he gives his personal approach to that, too! His unique experiences with the NeuFit muscle-stimulation device: "I cannot walk, literally, because my calves are so sore." Nick Collias:	Good morning, everyone! Welcome to Boise, Idaho. It's no Dubai, but it'll do. Do? Dubai? Huh? Is that a dad joke for ya? We're here at Bodybuilding.com headquarters. I'm Nick Collias, an editor in this august establishment. To my right is Heather Eastman, another editor and a former physique maven. Heather Eastman:	Ooh, physique maven, that's a new one. Nick:	He's joining us here. You love him for his abs, I hate him for his hair. He is a Bodybuilding.com and MuscleTech athlete, Men's Classic Physique competitor? Abel Albonetti:	Not Classic, no. Men's Physique. Men's Physique, yeah. Nick:	Okay, and everybody tells me also, one of those guys you see on the page, or you see on your phone, and then you see him in person and then you go, "Oh, you're bigger than I thought you'd be." Do you hear that a lot? Abel Albonetti:	That's always good to hear, yeah. Nick:	And also, he is the star of a new program here on Bodybuilding.com All Access, "30 Days to your Best Abs," I believe it is called. Nick:	And that's what he's been here shooting among many other things. Nick:	We put out a ton of workouts with this guy. Now, we did a profile video of you a few years ago—the Fitness 360, as we used to use those—where we got into your backstory a little bit, just to tell where you came from and how you started. But I wanted to touch on that a little bit for people who haven't seen the video. Because it's not the same old, like, "Hey, I hurt myself playing high school football and decided to lift all the time" video. Abel Albonetti:	Yeah. But being homeschooled, you're not able to go out there and play high school sports. So, I was not able to go out there and play football, baseball, all that stuff. So, what I did, was after I got done with school, I had a part-time job. And we lived out in the country. So, if I wanted to get anywhere, the grocery store, to a gym, I'd have to drive at least thirty minutes to forty minutes. But I had a part-time job that was around forty-five minutes away from my house. So, right when I got done working, I would go straight to the gym. And so, during the time when all my friends are playing football or baseball, I would be in the gym working out and stuff. And so, I started working out seriously when I was around seventeen years old. And then about that time, if we want to go into kind of how I got started in the modeling aspect, I was at the gym and this guy that up to me, he constantly came up to me. He was... an agency in Memphis. I lived in Memphis, Tennessee, at the time. And he would constantly come up to me at the gym and was like, "Hey, man, if... you need to do modeling, you need to look into modeling, I could get you jobs here and..." I heard that honestly a lot. I was like okay, I just didn't really want to do that. And long story short, he finally got me to go into his agency down in Memphis. And I went in there and he told me, promised me the world, I could do this, do that, go to New York. All this stuff. I was like whatever, whatever. And so, I ended up doing some runway stuff for Dillard's and Macy's and stuff down there. Abel Albonetti:	Well, it was in Memphis, so it wasn't New York or anything. Abel Albonetti:	Yeah, it was on a runway. And so, I did that, and it was a lot of fun. So, from there I started up my social medias, like Facebook. That's when Facebook Pages just went live and stuff. So, it was just getting started. So, I started that, and I knew I wanted to do something in the fitness industry. I wasn't sure, you know, what really. Nick:	You're still on the fence with fashion. Abel Albonetti:	Yeah, that's what I was called. Back then, it was before Justin Bieber. So, it was like the Zac Efron look. Abel Albonetti:	Exactly, he copied me. So, you know, from there I was doing the clothing lines and my last clothing line the people flew me out, and it was exactly what you said, "You're bigger in person." So, I tried to fit into these clothes and they're like, "You're getting too big." You know, so, I had to make a decision as far as if I wanted to keep working out hard, to, you know, go into the more fitness world. And so, I love working out, so I was like, no, I want to do something else. So, about that time I was looking into fitness modeling because it was people like Greg Plitt, that I would research, pull up, and he was like the first one that I looked up to. Because before that it was all, the only people that was making it in the industry was people like Jay Cutler, the huge bodybuilders. The massive, massive guys. And I never wanted to look like that. I mean I liked, I looked up to people like that, but I knew I did not want to look like that. That wasn't a goal. Nick:	Have you had any more mainstream fashion catch up with you ever again? Where it's like, maybe you're not too big for us anymore, maybe our tastes have changed? Abel Albonetti:	Not for the most part, no. I haven't done anything with that. I mean, I did, after that, when I was 25, right now I'm 29 years old. So, when I was like 25, so I was well into the fitness world, I did some campaigns for like a Sheex commercial. It's like a brand of sheets, performance sheets. Nick:	Hmm. Performance sheets? I didn't know those exist. Abel Albonetti:	But I did stuff like that, but besides that I never did anything. Because to be... runway stuff to do fashion, they want people that are 6'1". And for me being 5'11", too short to do true runway stuff. So, that's why I never even really looked into it much. Because anytime I did before, even the agencies and stuff were like, "you're just too short to go just flat-out runway stuff." They just don't want that. Nick:	Well, I guess that's true, I hear that about women, as well. Heather:	Well, and you also can't fit into the clothes, like they just, it's not tailored. Abel Albonetti:	Yeah, they're not made for people my size. Heather:	And that's one problem with guys that are working out around here, because obviously we've got bodybuilders in the building. And they can't find clothes to fit. Abel Albonetti:	Right. I mean, even though the industry has changed as far as people, even Barbie Dolls, they all have muscles now. But in the fashion world, it's still the case that it's like the slimmer guys, it's not have tons of muscle that are tall. Still do all the runway and the clothing lines. That's just the way it is still. So, it's, I don't know when that's going to change, later on it probably will, but right now it's still about the same. Nick:	Right. It's interesting to hear you say that, yeah, you had a gym at home. There maybe was a line for the bench press station on international chest day when there's twelve people in the family. But you had to travel to get to the gym. You had to really want to go there. Nick:	What did that place represent to you at that point? Or what was the allure of that, aside from you know, "I enjoy doing it." You had to have a reason to go there. Nick:	You just didn't have an outlet. Abel Albonetti:	Yeah, I was just there to really just kind of show up my friends, honestly. And it was at that point that I decided, going and stuff, but I found that I love doing it. And to this day, I mean, I tell people that, even if I didn't see any results in the gym as far as physical... A lot of people don't believe me, but I mean I honestly to tell you the truth that I would still be going even if I did not see results physically as far as looks and stuff. Because I just love going in there, I mean, it's just what I love doing now. Abel Albonetti:	It turned into that. You know, at first it wasn't. At first, it was going to the gym to look better, or to, you know, for my friends, to be stronger than my friends. But, later on, maybe when I got addicted to it, maybe six months to a year into working out, then it turned into something completely different. Abel Albonetti:	I've never had a coach or anything, it was honestly just doing research from magazines and Bodybuilding.com. I used to read every article of Bodybuilding.com, anything that came up I would read. I was on BodySpace a whole lot. So, that's how I learned everything, I've never had a coach or anything. Abel Albonetti:	Yeah, just trying it out and really, I was one of those people that, honestly, I would just about do too much. I'd be in the gym for two to two and half hours, just because I wanted, I knew that if I wanted to be where the person that I was looking up to, if I wanted to be where he is. I wanted to get there faster than what he did. And so, I thought in my mind, if I stayed in the gym two to two and a half hours, working that much harder I could get there quicker. And for the most part, I think that did help me a whole lot. Maybe I did do too much at first, but that mindset, I think, helped me a whole lot. Nick:	And then you'd come home and just crush the pantry? Eat the family out of house and home? Abel Albonetti:	Oh yeah, I used to eat so much food. My mom and dad were like, "Oh, my gosh." Nick:	"What are you doing? Where are you going? You come back so hungry." Abel Albonetti:	Yeah, I didn't have a brother until I was seven years old. So, it was a lot of girls in between there. Seven girls and five boys in my family. So, I was kind of getting outnumbered there, and then that boy came up and I was like, "Oh, thank goodness, thank you." Heather:	I was going to say, I'm glad you brought up the kind of overdoing it. Because we look at some of your workouts and we're like, "Jeez, this is gonna kill somebody," because it's a lot of exercises, tons of volume. Heather:	So, was that something you just did from the get-go? Or is that something you learned through trial and error? Did you start of, like you said, you'd read an article and say, "Okay, I'm just going to do these five exercises, three sets," you know. Abel Albonetti:	Of course, when I was getting started in working out and stuff, I didn't know a lot about anything. The only thing that I really knew how to do was pretty much chest exercises. And the reason why I knew how to do that is because, it was actually a Bruce Lee movie. They did some kind of documentary on him, and it was a guy that was playing Bruce Lee and they showed him going to the gym doing flyes, bench press, and all that stuff. And he was the only one that I actually saw videos doing the workouts. So, from there I kind of learned how to do the flyes and stuff. Abel Albonetti:	Because my family was in a very, I grew up in a very strict family. We didn't have TV or Internet until I was 18 years old. So, anytime I needed to watch anything on YouTube, I would have to go to the library. So, if I was reading stuff off of Bodybuilding.com, I would go to the library, print it all off. But as far as looking up videos on how to do stuff, I didn't do that because I didn't have the time. So, I didn't have YouTube to watch. So, the only really workouts I had was just through that Bruce Lee video. So, I learned kind of from there how to do different exercises. People just getting into the gym I would not recommend doing the volume that I do right now. The videos that I produce for Bodybuilding.com and on my own channel are for people, it's my workouts. So, it's like for people that's been working out, I've been working out for 12 plus years, you know really hard. So, if someone that was new to the gym, goes in there and does my exact workout, yeah, you're going to be overdoing it. Because your body's not used to that. You have to build your body up to that. Because if you do the workouts that I do, Yeah, you could drop the sets down and drop certain things to make it work for you. Because you don't need to do that much volume and that much hard work to see the same results. Honestly, you want to do the least amount of work for the most benefit. Abel Albonetti:	Right, exactly. Some people could go in there and do half the sets that I do and get benefit from. They could build muscle, they could lose body fat. But for someone like me that's been working out for So, many years, I need to push myself that much harder to see results. Abel Albonetti:	No, I've dropped it down. I've dropped it down to about an hour and half now. It used to be a lot more resting. So, when I'd go in there I would work out hard, but I would not time my sets and stuff. So, I'd go in there and do a bench press, but then sit there, get some water, not knowing that I was taking maybe two minutes rest. Now, I actually time all my rest periods. So, that's every 60 to 90 seconds I'm going at it again. So, that workout is condensed more, it's about the same amount of volume and stuff, but it's condensed. Abel Albonetti:	Right, I'm burning a whole lot more calories than if I were resting a whole lot more. Nick:	I remember, I think it was the encyclopedia, Arnold's Encyclopedia, he said, "Bodybuilders and runners, marathon runners have more in common than you think." A hard leg day of an hour and half, two hours, it is a marathon in its own way. How did you find that just timing your rest periods that eventually you would catch up, or did you really have to start prioritizing cardio more as preparation for your epic training? Abel Albonetti:	Well, cardio has its own role. I normally will do cardio, well, it depends on what season I'm in. You have your off season, you have your pre-contest or pre-photo shoot. And no matter what, throughout the year I'm doing some sort of cardio, because it's going to help your workouts, as well. Because if your cardiovascular system's not high, you're going to be suffering even just working out period. When I go through an off-season, I'll do cardio maybe just once or twice a week max. Because at that point I'm trying to build as much muscle as possible. And for me, being in the fitness world when I'm trying to stay in shape, I try to stay right at ten percent or less in body fat year-round. Abel Albonetti:	Only two, no no no, a week. So, that's going to be like sprinting or something just to race my heart rate up there and rest. And that's only going to last around 15 to 20 minutes. Now, when I'm getting into pre-photo shoot or contest, getting ready for anything, I ramp that up a whole lot, where I'm doing maybe three HIIT sessions a week and then doing low intensity the other days of the week, just to get ready for a photo shoot or trying to lose some body fat. Abel Albonetti:	Different people have different genetics. My family, my dad is a rail. I mean, he's 50 years old and he's skinny, he can eat anything and stay skinny year-round. So, for me even as a teenager, I've always been a very hardgainer. My body likes to stay relatively in a low percent body fat. As I've gotten older, I've had to watch my diet a whole lot more, of course, than when I was a teenager. Because I could eat five burgers a day and still have abs. So, that was never an issue until I got to around 25 and now I'm having to watch my diet a little bit more. But, I could honestly eat like a normal person, three to four meals a day, like normal people do now, eat fast food and stuff, and I would still stay relatively lean. Just because my body is naturally like that. A lot of people can't do that. So, I'm kind of blessed in that way. Abel Albonetti:	And that is one thing that's changed so much is my diet over the years. Workouts have relatively stayed the same, of course I had to, every off-season or when I'm getting ready for a photo shoot, that changes a little bit where my rest periods change. But all the time my workouts have always been, at the beginning of the workout I'm going to try to lift as heavy as possible, get the compound movements in, and then throughout the workout then I'll do more isolation movements and go for more volume. That's how my workouts have always been. Abel Albonetti:	Not feeling good, and being a natural guy and stuff. My testosterone dropped, even as being young, 20, I think I was 22 at the time or something like that. So, I was new to it and I was just dieting, and so I did a twelve-week diet program and it... slowly just tailored all my calories down and dropped my fats super low, and just felt horrible, it was not a great diet. Abel Albonetti:	Yeah. I do at the last four weeks. So, if I've got a photo shoot and I'm coming up to it and I don't feel bad, like four weeks prior to that shoot, I feel mentally, I just don't feel like I'm ready. Just because I don't feel bad. Which is so weird to think that, you could look great in a mirror, but if you don't feel bad, you feel like you could have done more. Which is so strange. Nick:	Right. That's gotta be hard to get away from. Abel Albonetti:	Yeah, it's very hard to get away from. I've only had maybe two or three preps that I feel really good throughout the whole prep, and at the end of it you're like, "Wow, that wasn't all that bad." But all the rest of them, you know, it seems you have to dig deep and you feel horrible. Heather:	So, when did you make the switch, when did you kind of figure out that you needed fat? And now, I believe you do a version of carb cycling, so, kind of... talk about that. Abel Albonetti:	Yeah. So, maybe four or three years ago, I was doing research and found the diet, it's carb backloading, at first. Nick:	I don't know, he did a couple pieces for us ... yeah, I mean I still know people who love that approach though. Abel Albonetti:	The ultimate cutting plan, and I found that that wasn't the case, for me, it was more all about energy. Because, in the morning, if I get up in the morning, I found that, because I used to work, I used to be a personal trainer like three, four years ago, in a gym. So, I would wake up early in the morning, have a typical bodybuilding breakfast: oatmeal, your protein, egg whites, and stuff. And then around 11 or 12:00, I felt like I need to take a nap and I felt horrible, I was really just drained. And so, I knew that I needed to change something up, I wasn't sure what that is. And about that time, I found the carb backloading. Nick:	Which, to be clear, it's like you restrict them really severely during the day, right? Like next to no carbs during the day? Nick:	And then you have them only after a certain time period, for people who aren't familiar with it. Abel Albonetti:	Right, so, the carb backloading, yeah, you have all your healthy fats in the morning. So, you have your protein and healthy fats which, for me, it was like coconut oil, it could be bacon, it could be whole eggs. So, all your fats are in the morning. And then you're going to go throughout the day until around, for me when I worked out in the afternoon back then, it was around 5:00. So, late in the afternoon, then you work out, and then you have all your carb sources after your workout. And the carbs are like white rice, so, anything fast absorbing, cereal, all that stuff. And I found, doing that, I had more energy and I thought it was amazing because I could go have my fats in the morning and have energy around 11-12, throughout the whole day, have consistent energy instead of crashing. Abel Albonetti:	I stop losing... One, two, three, yeah. Until I hit a plateau and then I'll follow up on the scale. The scale's not always a great way to measure that. Abel Albonetti:	But it's a great way if you do it in maybe a two-week span, every single day, I think it's a bad idea because it's a mind game and you're like, "Well, I didn't lose weight today," and yesterday ... or, "I woke up today and I was heavier." And the scale, it all changes depending on how hard you worked out even because if you had a really hard leg workout the day before, you're going to be holding a lot of water in your legs. Nick:	Right, that's harder to come out of though, too. Abel Albonetti:	Yeah, 10, and then, yeah, it's harder on your body, as well, and I found that I felt way worse doing it just taking my calories down but doing it this way with carb cycling, I found that it was just easier and the calories don't change all that much which is kind of strange, calories stay about the same. But on the low carb days, my fats are going to be higher, and then on the high-carb days, the fats are going to be lower. So, the calories just adjust, the macros adjust but the calories pretty much stay the same during that time, my proteins stay about the same throughout that whole time, so, for me, it's like 260 grams of protein a day. Abel Albonetti:	Yeah, it's a good amount. Nick:	So, aside from how you feel, how do you feel like your body has responded, body composition-wise, to these things. Which of these really gave you that next level in terms of being able to add more muscle or "Wow, this is a really successful cut." Abel Albonetti:	Yeah, I mean I do the carb cycling and carb backloading even in the off season when I'm trying to build muscle. So, I won't, in the off season when I'm trying to build, I don't have a zero carb or just vegetable carbs, I will have a medium day and then jump up to the high day but I would constantly carb cycle because I want to keep my body fat as low as possible while trying to build muscle because, at a certain point, if you build so much fat, all the nutrients that you're putting into your body, it's going to consistently go into fat. I think there's only so much you can do before the nutrients stop going to the muscle. And so, I think even during a bulking phase, you need to have those lower-calorie days or lower-carb days to get your body in check. So, I mean I do it year-round and, for me, it's all about the energy. If I feel good going into the gym, that's what I want to feel like because if I feel crappy, I'm not going to have a very good workout. So, no matter what my goals are, if it's fat loss or if it's trying to build muscle at the time, if I feel crappy, I don't want to go in there, I won't workout as hard, so I won't get the benefit. So, for me, it's whatever that makes me feel best every single day, that's what I'm going to do. And, for me, I found that carb backloading and carb cycling is the best way for me to do that. Abel Albonetti:	Yeah, see, I don't know. See, a lot of people do have, I mean I did, too, like the binging where you would have, okay, when you restrict your carb intake for a certain amount of days and then on the third day or fourth day, they're like, "Okay, this is the only time I can have those carbs," they're going tear into some carbs and overdo it. Abel Albonetti:	Yeah, well, carb backloading's big time. Nick:	Carb Nite, that's it, that was the worst, yeah. Abel Albonetti:	Exactly, so, I mean some people can do it, if you can sit there and mentally make yourself watch how many calories you're putting in because, at the end of ... like I said, I did it for two months, and I looked back at progress and stuff and I really didn't see much progress at all because I was trying to lose body fat at the time and that's the reason why I was doing it. I mean I did lose some but it was only until I was restricting what I was eating and, for me, after the seventh day and stuff, if I restricted on that 8th day, I felt horrible, I felt worse because I was like, "Man, I wish I would have ate that when I could have, I should have." And so, I didn't really like that as much. But now that, I'm, I guess, gotten older, done it for so many years, it's not such a big deal for me to have ... if it fits into my macros, I will have certain meals so that I don't feel deprived because I feel if you go on a diet and you're constantly thinking, "Okay, well, I can never have that donut until after my prep," after your prep, you're going to gain so much unwanted body fat because it's in your head and because you can't have it right now, then your body wants it that much more. Nick:	I picture you in the library on Bodybuilding.com and on the forum somewhere on BodySpace, that narrative is out there, right? Did you ever bite on that? Like all right, I guess I better just get gigantic if I'm going to get shredded? Abel Albonetti:	Yeah, and if it only took people a year or two years, a lot more people would be shredded and huge. But, for me, I never cared how long it would take me, it just that that was my goal and I wanted to do that and so, it just turned into something that I loved doing now and 12 years+ now, I'm still doing it and still loving it. But a lot of people think, my physique, I think that's why ... the kind of industry has changed a little bit. Now, people, like MuscleTech sponsor me, they used to only sponsor the huge bodybuilders but they want people that look more attainable, like myself, for marketing and stuff, but at the same time, I'm like, "It's still ..."
Abel Albonetti:	In China? Well, it's hard to ... because everyone did not speak English. And I've done the TENS unit and stuff, that little machine that kind of just ... and that what it sounded like. Abel Albonetti:	Yeah, recovery and stuff. And that's what it sounded like because I own one of those at the house. So, I was like, "Okay, this is strange." So, he couldn't really explain to me very well what it was, he told me but I just wasn't getting it. So, I went in and he worked on my shoulder for a while, and just like doing a lot of pressure points and all that stuff and then he had that machine and he would rub it all over my body to figure out where it would have this certain pain worse than others. So, he would mark it or something and then he would go around and just work on those muscles. At the end of it, it felt great and he was like, "Okay, well, that was trying to help your shoulder, now do you want to train with these things on?" He was like, "Let's do legs or something." I was like, "Okay." So, he took me in the back and there was a full gym and that's not what I was expecting, I was thinking they would hook it up and I would sit there with it on. 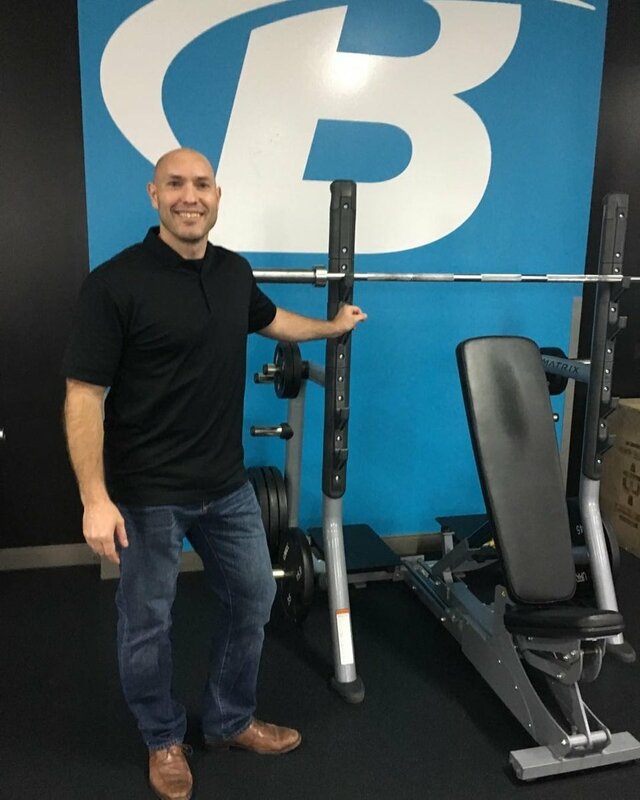 Abel Albonetti:	They say that machine actually hooks... you hook it up and like I said, it makes you contract those muscles so much more than what you can naturally. Abel Albonetti:	...that is why you're able to contract throughout that current, see. Abel Albonetti:	Yeah, because they've been doing it, they've been training themselves and stuff on it for years because like you said, it was for recovery. It's for people going in there with like a torn muscle or something and they're having to, let's say they have a torn chest or something. They're gonna go in there and get the work done to kind of help that muscle to recover and stuff. But, over the years they've been training themselves. So, they wanted me to come in so that they could actually kind of do like a research to see how this could work in bodybuilding. And now, it's been going global. They have people, they've been helping all kinds of big athletes like baseball players to pro bodybuilders come in there now. To go in there and give this a shot, and they love it, because it's something that a lot of people haven't seen before. Heather:	The two furthest possible... together. Yeah. Nick:	That's really interesting because you think of something like a stim unit, even if it's a totally different kind of stim unit. It's not the sort of thing that's really going to boost muscle damage, you would think. Right? Nick:	So, is just the pump and the contraction so intense that it's giving the muscle... damaging from inside? Like it's exploding? Abel Albonetti:	Right. But then they found out that it could work on bodybuilders, as well. And bodybuilders want to go through that pain. If you're like me, that's wanting to see results and stuff, you don't mind going through some major pain, if it's a good kind of pain. Abel Albonetti:	At least. And then you go for the pump, so you're not running the risk of using extremely heavy weight. And when you're in a low percent body fat, low calories, you have to really watch that or you're gonna end up tearing muscles if you go in there and just go crazy heavy weight. Because when you're in the off-season, when you're having tons of calories, your body can recover a whole lot more. So, you're able to lift heavier weight throughout the duration of your workout. But, when you're lower calories and stuff, in the back of your mind you really have to pay attention to your body, so you don't hurt yourself. Because, that's the main goal. If you hurt yourself, that's gonna put you way behind. Abel Albonetti:	...build muscle, of course. Abel Albonetti:	Yeah, you're lifting weight. Yeah, right. Exactly. Or doing like sit-ups and stuff, a lot of people can't even do like a true, on a decline bench, do true sit-ups for more than those amount of reps. So, I would consider that being weighted. So, that is where I really found that benefits in my abs. Getting the big, chiseled abs. Nick:	Right. But the difference between like, "Oh, I think I see one," versus "Oh, there they are. Oh, I see 'em!" Abel Albonetti:	Yeah, exactly. So, now, what's amazing is, now that over the years building up my abs, my core, I'm able to go higher percent of body fat, live in a higher percent body fat, but you can still see my abs just about year-round. Even when I'm in an off-season because of how big my abs are now, because I built bigger abs. Now, back then when I was younger, when they're not well-developed, I would have to be pretty low body fat to actually see 'em. Because a lot of people get confused, they think that if they want abs they're gonna have to go in there and do crunches all day long, and they can somehow lose body fat around their abs. Now, that's gonna come from overall body fat loss. Abel Albonetti:	Yeah, it's just gonna convert. Exactly. Nick:	Yeah. But it's a specialization program, too, to a certain degree. Right? Abel Albonetti:	Oh, for sure. It's for a particular amount of time and stuff. Yeah. Any program that I do or anything, even other muscle groups, I will go really high-volume for... They call it an over-reaching phase. So, you really just pound out your body and then you give it a recovery phase, and that's with any muscle group. So, if I'm wanting to build, let's say my quads, I'm gonna pound it out super hard for a given amount of time and then let them rest. You know, that's great to do. Nick:	Heavy weights. We need to have like a cable-curl powerlifting competition to see who ... I don't know, you get pulled back, somebody get thrown through the roof, I could see. Have you tried the NeuFit on your abs? Abel Albonetti:	You can just sit there and let the contractions... What it does... They can have it different ways. They can have the frequency just go through the motions so you can go... so, it's just on. So, you can either do ab roll-outs, you can do crunches, or, they can turn it on where it's a five-second contraction, and then it pauses for like five seconds, so, it releases. Nick:	I don't know. It sounds to me a little bit like that scene in The Princess Bride, where they have them hooked up to the machine and they just keep turning it up. Abel Albonetti:	Oh, yeah. I don't work abs as much as what I ... I don't work it as much at NeuFit. Abel Albonetti:	...past two days I've already done six workouts. Yeah. Nick Collias:	Okay. Great. And look for Thirty Days to Your Best Abs ["30-Day Abs with Abel Albonetti"] on Bodybuilding.com All Access soon, as well. Thanks for chatting with us.